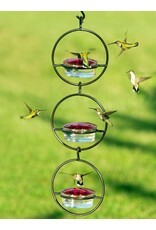 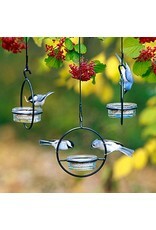 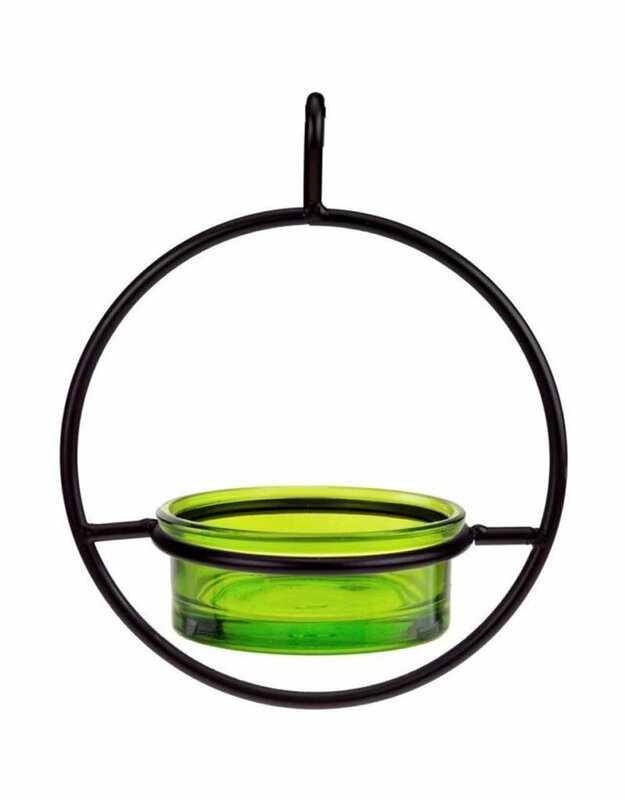 Observe your favorite birds dining in style with this charming metal and recycled glass bird feeder. 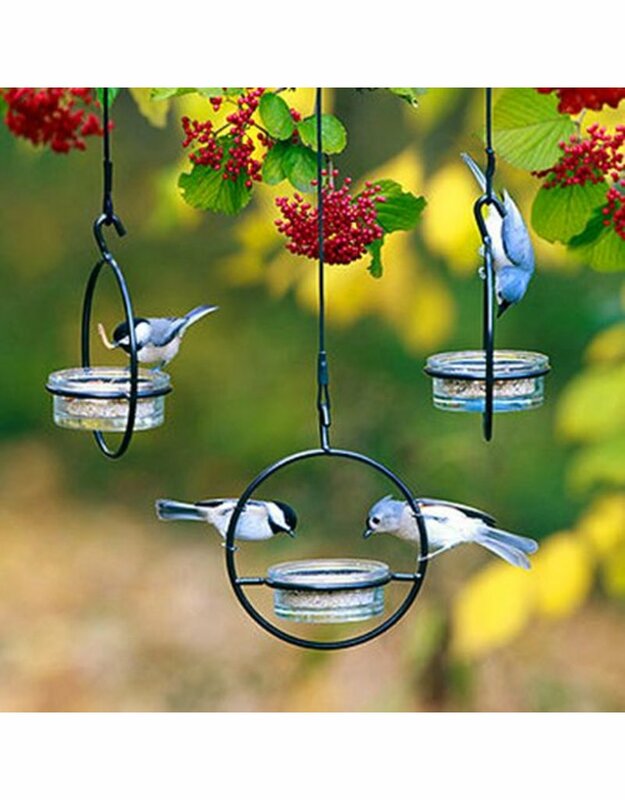 Designed without drainage to hold mealworms, suet pellets, jelly, or flower seeds, it's sure to attract Bluebirds, Orioles, Juncos or beloved Songbirds depending on your location and season. 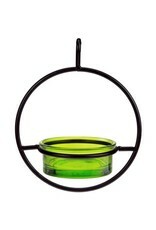 3.4 oz capacity bowl with 3" opening-provides ample feeding room for multiple birds. 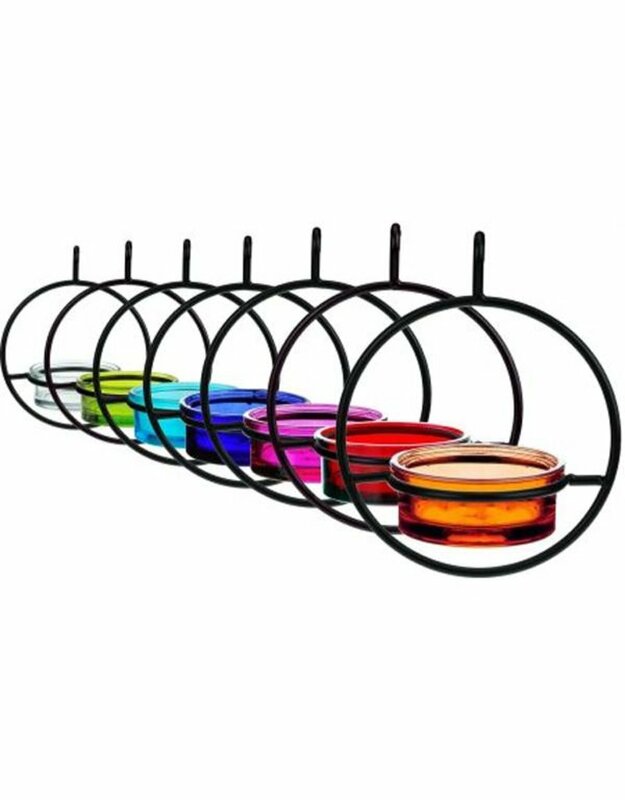 Extended bowl edge-provides a narrow perch for birds and longer viewing enjoyment. 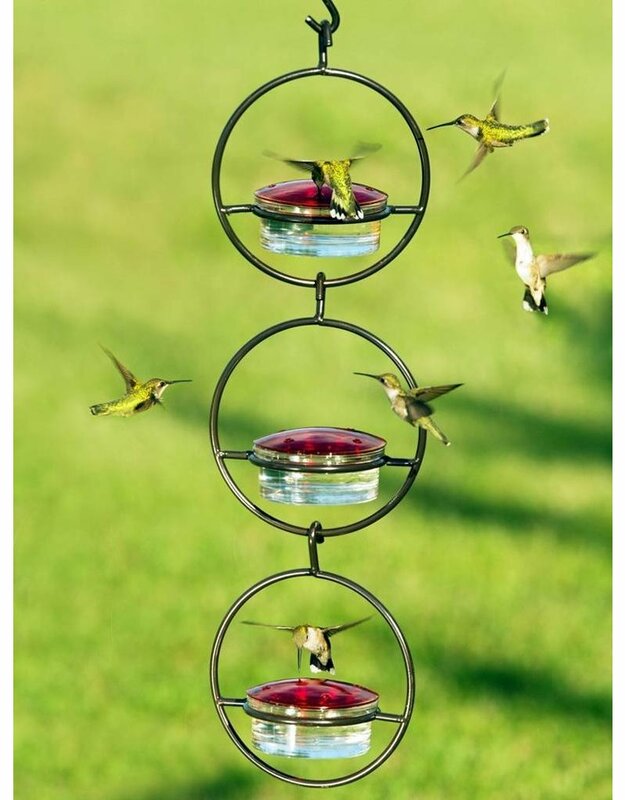 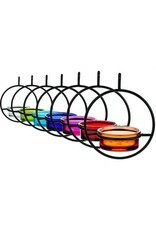 Open top hook-allows for hanging individually or connecting multiple feeders vertically.